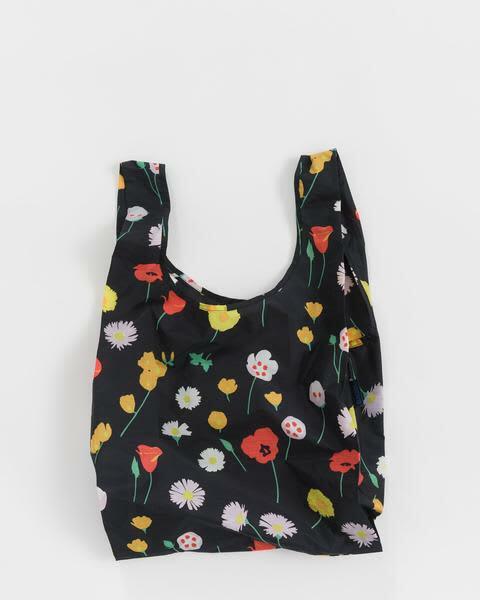 Baggu's best selling reusable bag is not just for the supermarket. Carry in your hand or over your shoulder. Holds 2-3 plastic grocery bags worth of stuff. Size: H 25.5" x W 15.5" x D 6"